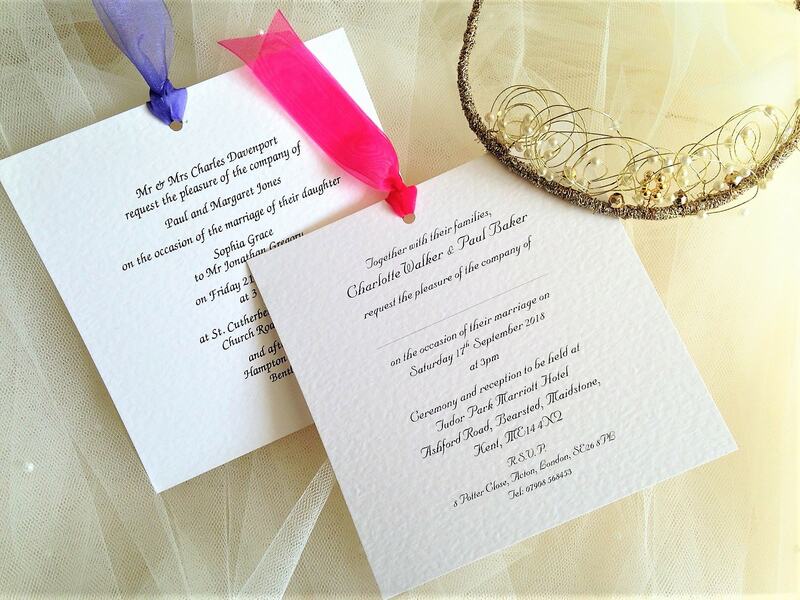 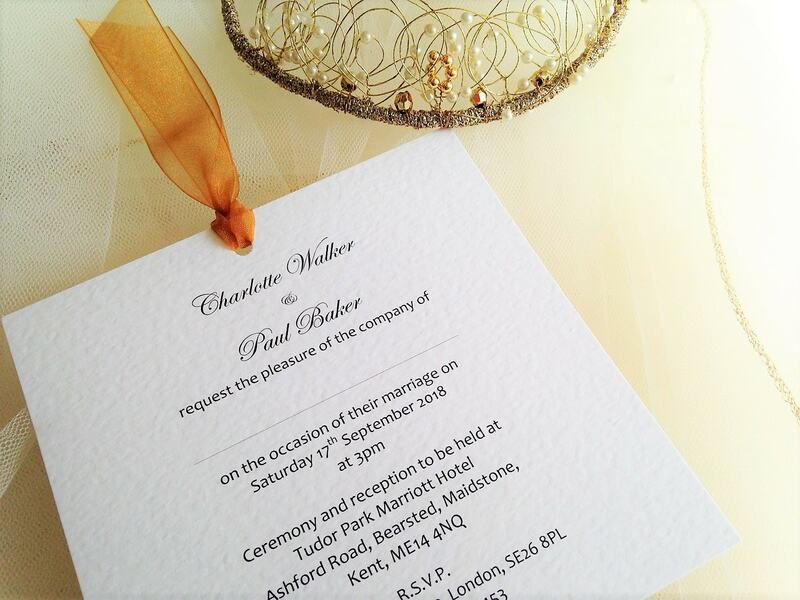 Chantilly Wedding Invites are an attractive design featuring a ribbon tab at an affordable price. 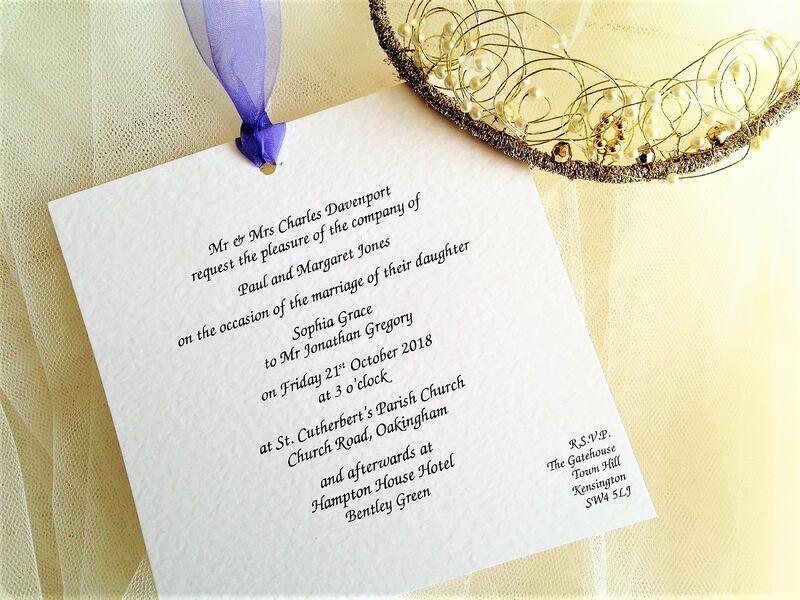 Fully personalised wedding invites supplied on a thick heavy weight (270gsm) hammered card available in either white or ivory. 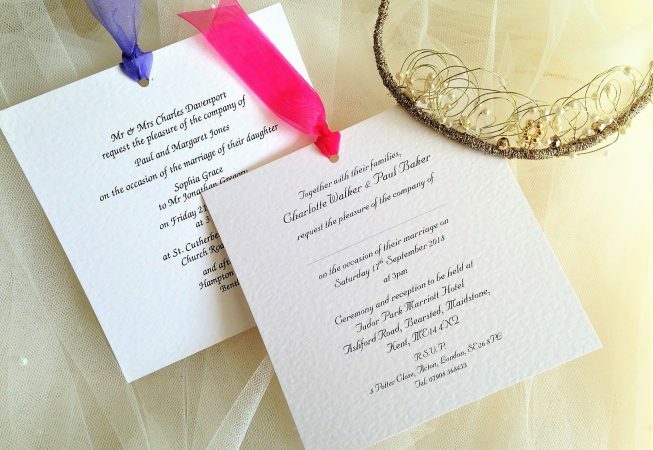 Mix and match fonts to created a formal or informal wedding invitation card. 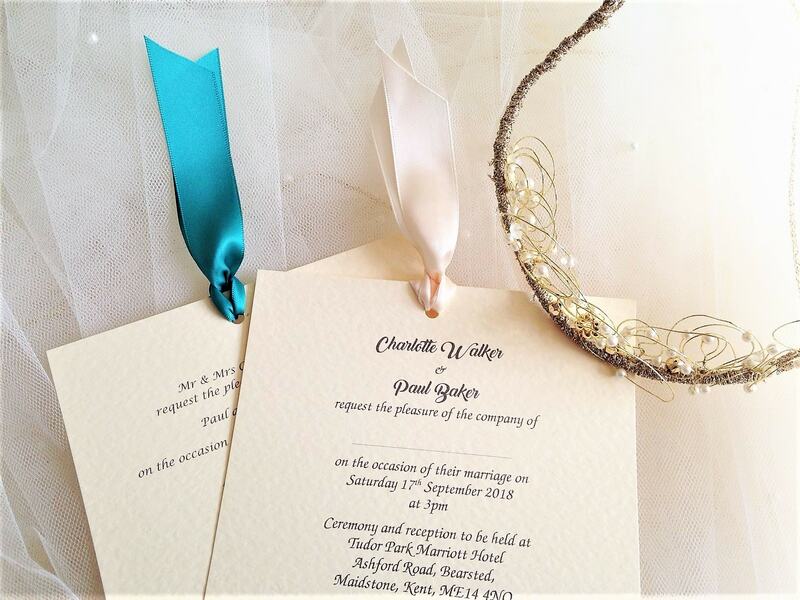 Available with or without ribbon.